Nice to meet the stars and talk to the dealers . A bit on the small side and I wish it was 3 times a year . It was amazing but there was not much supernatural stuff and there could of been more done to it but I enjoyed better than last year's, looking forward to next year, thanks em con. 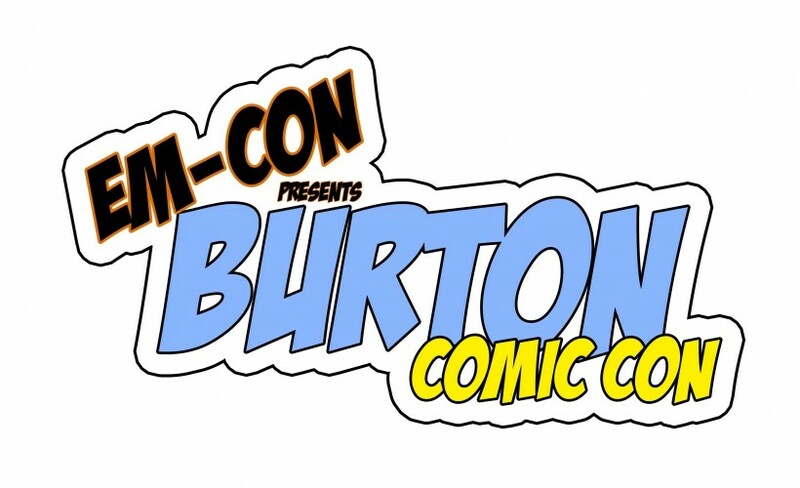 I had a brilliant time at Burton Comic-Con. There were some amazing celebrities to meet, an interesting selection of trader stalls, and the staff of EM-Con were very friendly and helpful. Thoroughly enjoyable day of fun. Lots of characters/props to take photographs with, with the added enjoyability of seeing others in cosplay. The only drawback was how expensive the 'celebrities' charged for a photograph or autograph. OK if they are currently celebs, but others had a role in Dr Who in Jon Pertwees day, not the most well known guests. Looking forward to going to the next one.